Annotation: Enrich center time with easy-to-make-and-store kits! 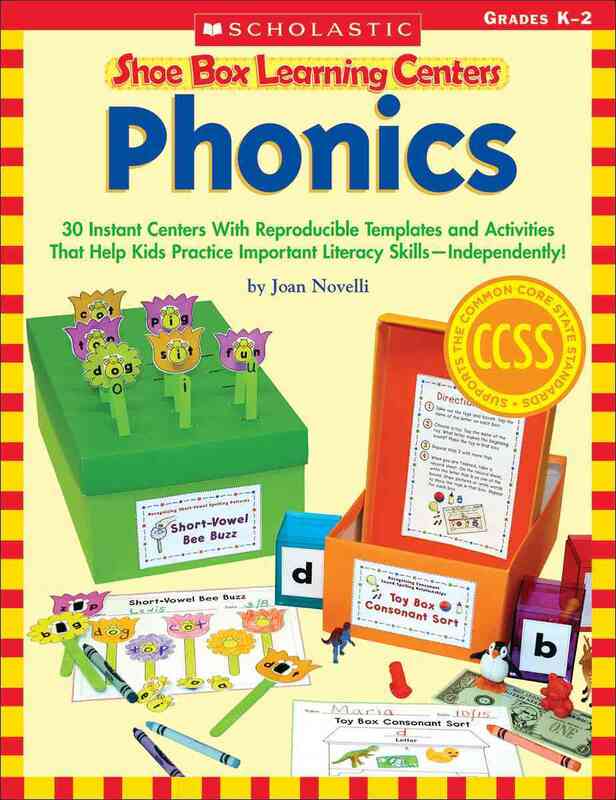 These 30 skill-building games and activities help kids practice working with beginning and ending sounds, consonants, long and short vowels, blends, digraphs, and more. Each box can be assembled with readily available materials and includes reproducible labels, easy-to-read student directions, and reproducible game boards, learning mats, and worksheets. Meets Common Core State Standards!